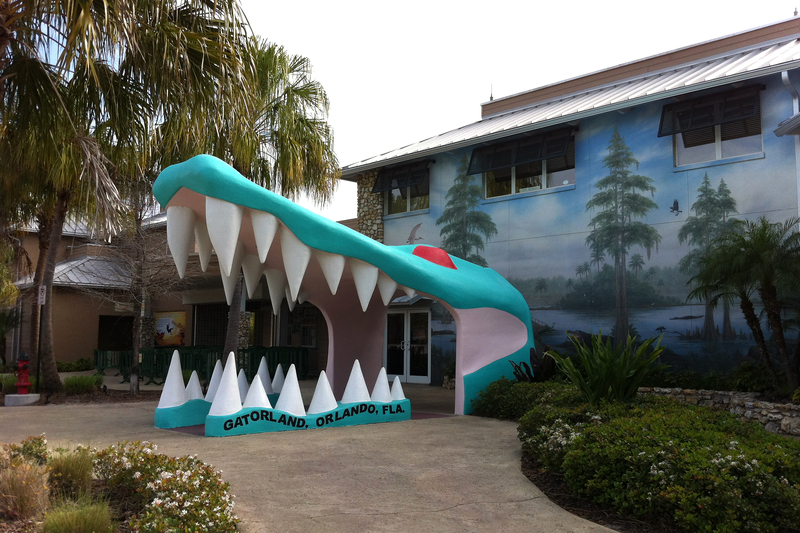 Gator Jaws Entrance beside Gift Shop doorway at Gatorland, Orlando, Florida. Prior to the fire in 2006, visitors walked through the jaws to enter the park. After reconstruction of the gift shop, the doorway was moved to stop the bottleneck between visitors and photographers.